In this exciting video event, Richard Osterlind, one of the world's top mentalists, opens the vaults and reveals the inner workings of some of the best mentalism ever created. Not self-working, but by no means difficult to do, these classic effects already make up the repertoires of some of the finest mentalists working today. 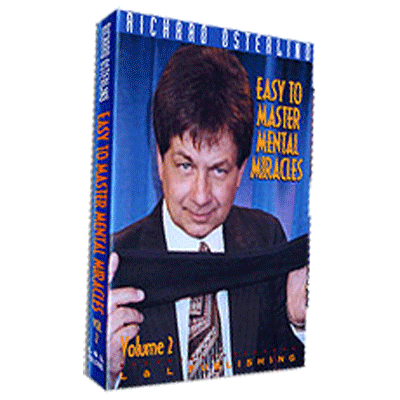 Richard Osterlind has combed the vast literature of mentalism to find the strongest mentalism and mental magic effects ever created by past and present masters of the art and each will astound even the most sophisticated audience. Watch Richard perform them all before an astonished live audience and then go behind the scenes as he, along with host Jim Sisti, explains the diabolical methods. Combined with the Real Secrets of what makes these effects work, this series is destined to become a classic resource for those seeking to learn the art of mentalism.